Reasons for concern: A population can spread over a large area, where they repeatedly go to seed over multiple years. Seeds are carried far and wide on the wind. It is very hard to pull or dig out the entire root, and stems that are broken off can produce up to a dozen or more seed heads. In years of drought, it can take precious water and nutrients from more desirable native species. Botanical description: Erect with dandelion-like blossoms. Leaves: Long and narrow, with pointed tip. Leaves sometimes look like grass blades, but are thicker. Light green to bluishgreen in color. They clasp the stem and ooze milky sap when broken. Stem(s): Grow 1 to 3 feet tall in Year 2. When a stem is broken off, it will grow multiple new stems, which each produce flowers. Stem is swollen below flower head, and oozes milky sap when broken. Flowers: Flower heads appear April through October as single, large, yellow, dandelion-like flowers at the end of long stalks. Long and pointed, modified leaves or bracts extend below and beyond petals, giving a starry look to flower. Flower heads close by late morning or early afternoon. Seeds: Plant produces large 2- to 4-inch-diameter, puffball seed heads. Each seed has a feathery bristle which helps it fly in the breeze to a new location. Roots: Thick, fleshy, branched taproot. Ooze milky sap when broken. Native to: Eurasia, now established over much of North America. Weedy characteristics: Can produce many flowers and large seed heads. Seeds carried far by wind. Sturdy taproot makes eradication difficult. Look-alike native plants: Remarkable goatsbeard (Tragopogon mirus) looks similar to Salsify except that its flower heads are purple with yellow centers. It is a hybrid between the yellow salsify and purple salsify non-native species but since it originated in the United States, it is considered native. Control strategies: Do not let plants go to seed. Preventing seed production is essential for all biennials. Dig, hoe or pull young plants. 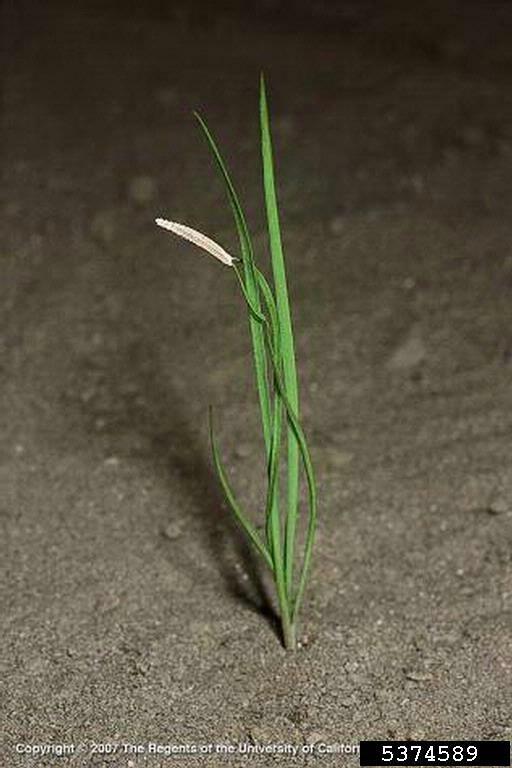 As they grow larger, salsify plants become more difficult to pull without breaking the stem. When digging or hoeing, be sure to cut off the taproot as far below the soil as possible without disturbing the soil too much. Mow when flowers first appear and repeat mowing as needed. Mulching may suppress this plant. Plant desirable native species to outcompete invasives. Frequently monitor previous infestations for new growth.